Low stress job, with no need to take work home. Come in only when you are teaching. School located in central Bangkok, close to MRT. 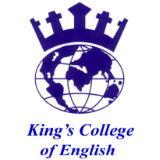 We are looking for NATIVE English speakers to teach at our language school in central Bangkok. Native speakers ONLY - You MUST hold a passport from a native speaking country, sorry! If you are selected, you will be contacted for a Skype interview at a time convenient for you.